Twice a year, a team of volunteer doctors and nurses travels to treat women suffering from fistula. Since the Foundation’s creation in 2011, more than 100 women have received care in Burkina Faso and Rwanda. These medical missions are also an occasion for the MMS Foundation team and local personnel to share experiences and expertise. THANK YOU to all our volunteers! To see the complete list of the volunteers who took part in our medical missions, click here. 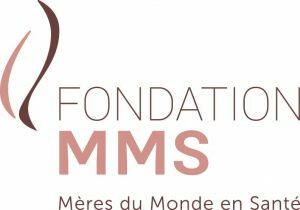 The MMS Foundation conducted an anthropological study to examine the experience of women who have undergone fistula repair surgery, and the impact of the treatment on their social life. 40 women were interviewed in Burkina Faso, before the surgery and a year after the surgery, in their home villages. The results of the study were published in the International Urologynecology Journal and presented at several scientific conferences (click here to see our poster). The Foundation has recently started a similar study in Rwanda. The results of our anthropological research will help us design an appropriate prevention program based on education for women, training for midwives and local doctors. We plan to work in collaboration with local healthcare centers and government agencies.